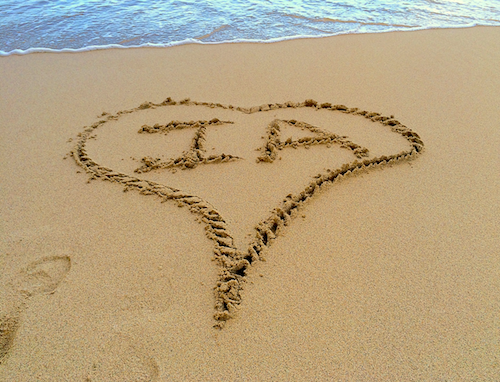 I will remember IA Summit 2014 as my favorite conference ever. The content and conversations were brilliant. The activities (first-timer dinner, polar bear run, book signing, yoga) were a ton of fun. The setting in sunny San Diego was lovely. And I had the honor of delivering the closing plenary. If you missed it, you can check out the slides, tweets, and photos. But the only way to understand what makes this community special is to be part of it. So, reach out to Abby to help build the IA Institute. And, reach out to next year's conference chairs (Veronica, Jessica, Mike) and volunteer to help make next year in Minneapolis awesome (April 22-26). Thanks for the wonderful memories. Now let's get back to work. I'll see you at the summit. Water Hill Music Fest is an awesome community-driven event in Ann Arbor. I met Devaki at the IA Summit. She's an expert at connecting the dots. Thanks to Lara Federoff for volunteering to organize the next World IA Day.